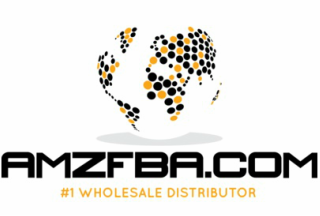 ﻿We are a company of All Season Trading Group - A wholesale distributor (B2B Only) that caters to eCommerce buyers. If you are a 3rd party seller on any given marketplace. We have the inventory for you! Disclaimer: Though, you see the Amazon's logo on our site. We are NOT an affiliate of Amazon.com. What kind of products do you have available? We have the eye for the right product with significant profit margins. The question of how to "buy low and sell high" has been asked for a long time, and we are the answer! Products that rank low on Amazon, and sell well are the products that we procure. We have inventory in categories such as; Consumer Electronics, Toys, Tools, Closeouts, Small Kitchen Appliances, Health & Beauty, and much more! The inventory shown in our Products page, serves as an example of what we have sold in the past. The listings get updated occasionally but you need to have a relationship with us to get the most recent updates! We are conveniently centrally located in the heart of Chicago, IL - Just kidding. We are about 30 minutes out of Chicago. The rent is cheaper. :P See the Contact Us page! We are in business for one reason, and one reason only! Anyone can make a buck, we are more interested in building a relationship. Our customer base trusts us to provide them with the cold hard facts, that will help them make a purchasing decision for their storefront. We stand behind our products with their quality. We only sell BRAND NEW GOODS! With close to a 1024 vendors out there, & 900 Billion products - we are the only group that buys large quantity of inventory that is sure to provide our customer base with a profit. We will ship out the goods within 48 hours of receiving the payment. Paypal - takes 2-3 days and 48 hours thereafter. We can also ship on your behalf to FBA with prepaid box labels. The product may come with a lead time, which means that once you have made the payment. We will order the goods on your behalf and depending on the manufacturer - we will communicate the lead time over to you. In most cases the goods will ship within 48 hours of clearing. We accept all major credit cards through Paypal! We however do not work on significant amount of profit margins, so we ask that if we do get payment via CC - then you are responsible for the 3% processing fee. Ideal payment is via wire transfer/ACH. What guarantee?! Just kidding. Folks, we would love to give you a guarantee on any given products that it will sell out for you within hours of purchasing. But that's not realistic. We promote taking calculated risks on any given purchase. We do however stand by that our products are 100% original, Brand New, goods! If you get such good products, why don't you sell on Amazon? A wise guy eh?! You're absolutely right. We get amazing pricing from our manufacturers, because of the long relationship our principals have built over time. In fact, we qualify for tier 1 pricing with every manufacturer out there. Spider man's Uncle Ben once said, "With great power, comes great responsibility" - It is true! A couple reasons why we don't sell ourselves. A. It is direct conflict of interest with our beloved customers. We cannot cherry pick great products and sell the rest to them. C. All jokes aside, See A as the moral reason. & Legally, we are not allowed to sell directly to consumers. With the tier 1 pricing that we have worked so hard for - only allows us to resell as a distributor. Our relationship with our manufacturers is much important than selling on Amazon. Should you have any more questions, feel free to contact us at ANY TIME! Let's build a relationship and let us help grow your business to new heights!